Homecoming dance. Christmas party. 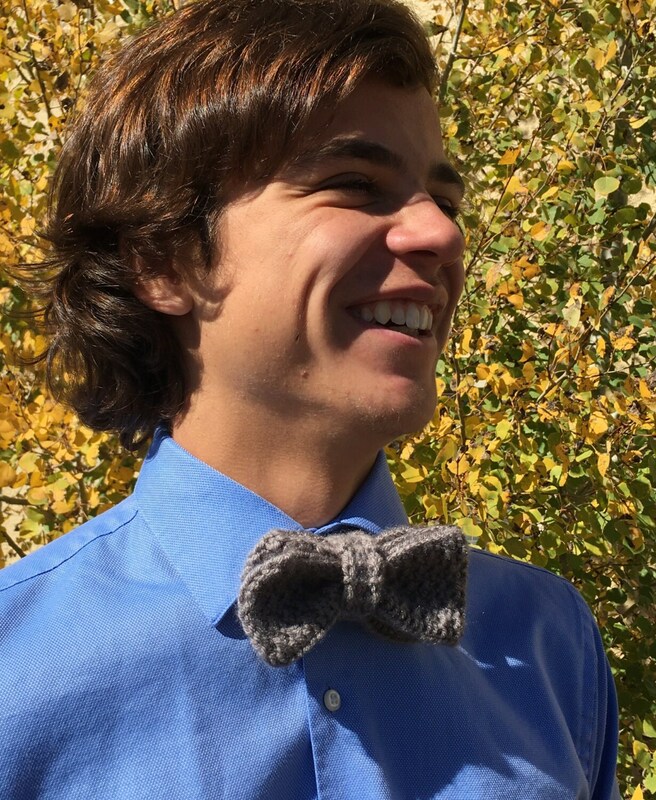 A bow tie has always been a statement. 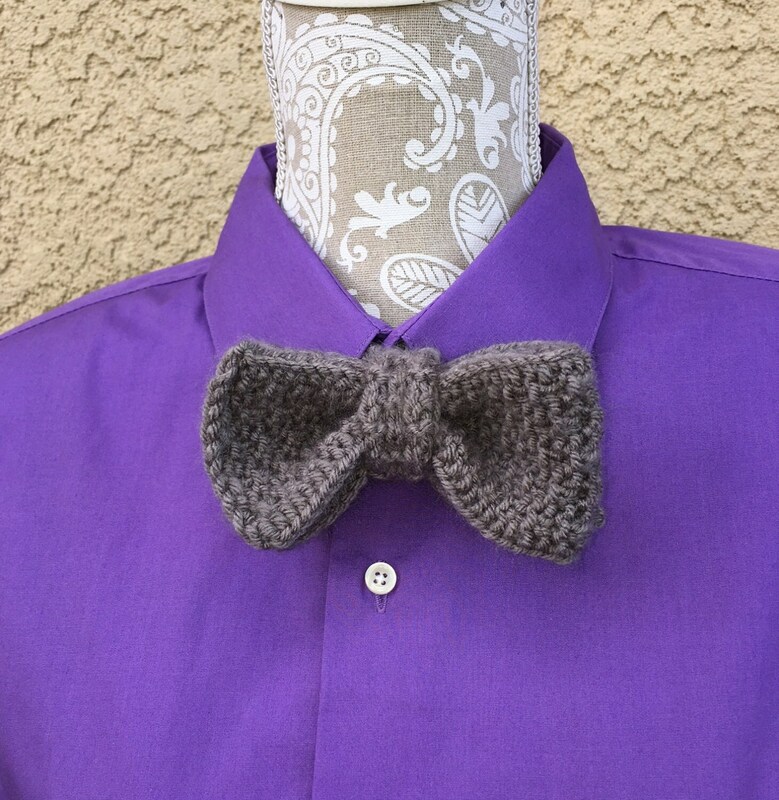 You can loom knit a bow tie to help the man in your life make a statement: be it bold or reserved, serious or fun. Just pick a worsted weight yarn that suits the mood! 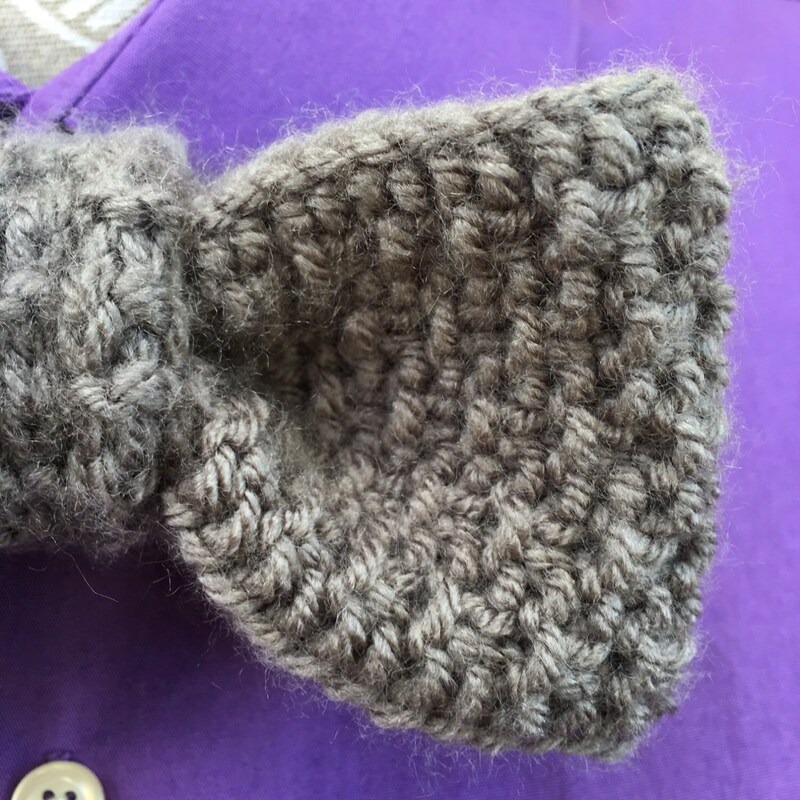 This pre-tied bow tie is knit on any 3/8” gauge loom (like the All-N-One loom). 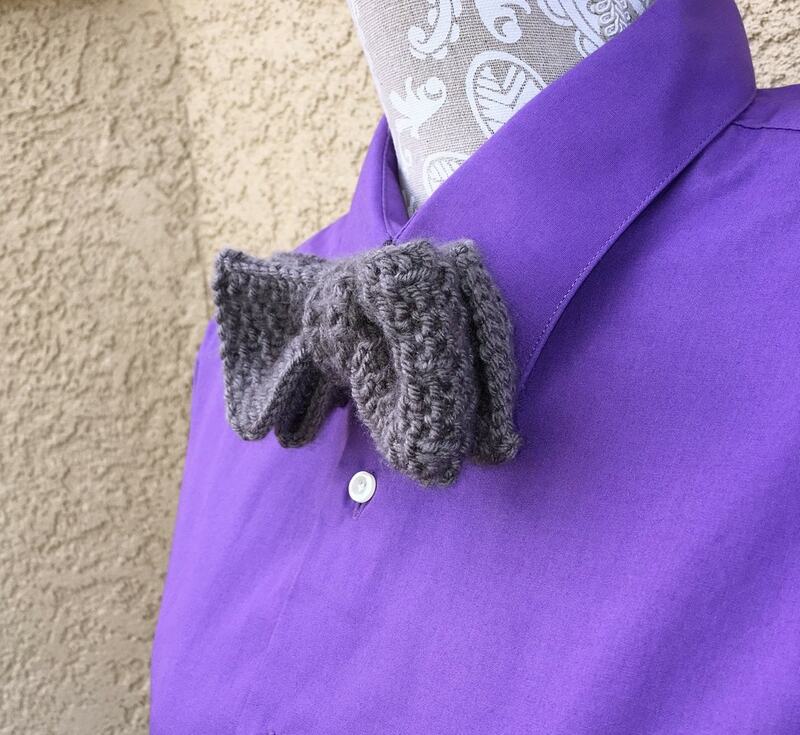 It uses around 75 yards of a worsted weight yarn. Hobby Lobby’s I Love This Yarn in the Graybeard colorway was used in the sample. 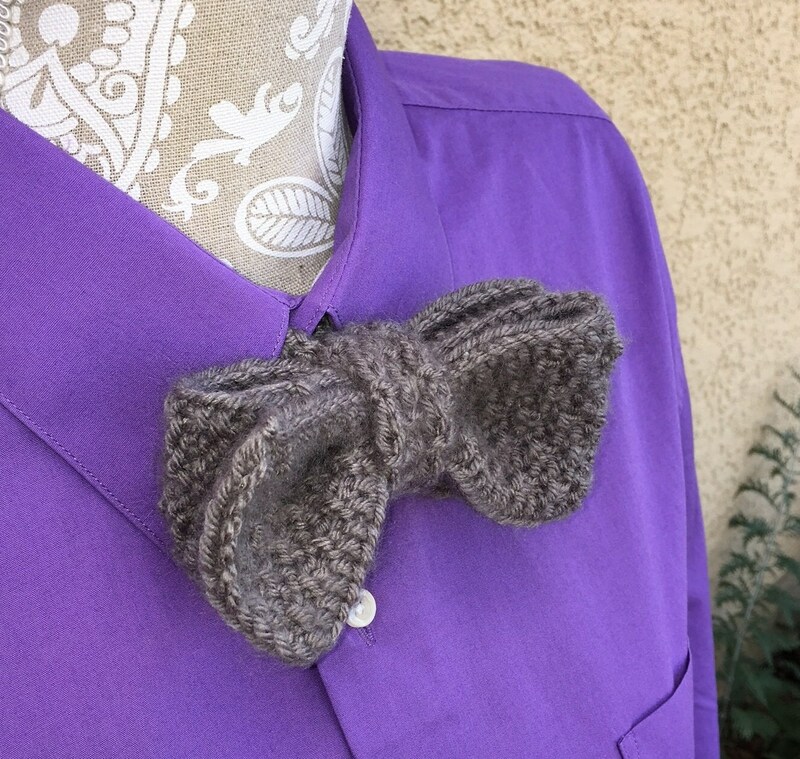 The pattern is suitable for an advanced beginner loom knitter and includes photo tutorial.